Two weeks ago I welcomed the Class of 2017 to the Chicago-Kent community. I am pleased to report that this class of 1Ls is a diverse and accomplished group. Students hail from 10 different countries, more than 100 different undergraduate institutions, and speak 25 different languages. In terms of experience, the Class of 2017 counts among its ranks politicians, nonprofit leaders, members of AmeriCorps and the PeaceCorps, NCAA athletes, a taekwondo black belt, a ventriloquist, a hip hop dancer, veterans of the Armed Forces, and 23 holders of advanced degrees. I expect great things from the Class of 2017. Alumni support plays a critical role in the success of our current and future students at Chicago-Kent. This year, we have continued our participation in the Fueling Innovation Campaign with IIT, and 1,139 alumni and friends contributed more than $2.5 million to the campaign. With the generous support of our alumni donors, we have been hard at work implementing the structural and curricular changes necessary to keep Chicago-Kent on the cutting edge of legal education. Thanks to the support of our alumni community, we have been able to make significant enhancements to our home at 565 West Adams. Over the course of this past year, we have unveiled the James J. Morici Jr. Advocacy Corridor, the Elaine R. Levin Student Lounge, the Flanagan Family Terrace and the Arthur and Stephanie Morris Hall. A special shout out to Jim, Elaine, Tom, Art and Stephanie for your commitment and dedication to Chicago-Kent -- students are benefiting from your generosity. I invite you to take advantage of one of the many opportunities to visit Chicago-Kent this fall and view these improvements for yourself. Join us for the 5th annual Supreme Court IP Review conference this Friday, attend a CLE conference, volunteer for the Alumni Association or simply drop by one of the networking receptions our student organizations will be hosting. I hope to see you soon. Chicago-Kent was recently featured in a Chicago Daily Law Bulletin series profiling Chicagoland's nine law schools. 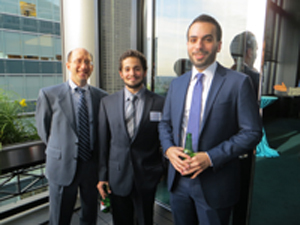 In the article, alumni, faculty and current students praised Chicago-Kent's legal writing program, trial advocacy and moot court teams, its legal clinic and its career services office for creating the economic value behind the school's education and for their seamless transition to legal practice. Click here to read the entire article. A2J Author® has been selected as a finalist in the international Hague Institute of Internationalization of Law (HiiL) 2014 Innovating Justice Awards. The software, developed by Chicago-Kent's Center for Access to Justice and Technology (CAJT) and CALI®, the Center for Computer-Assisted Legal Instruction, is competing against 14 other global innovations in the "Successful Innovations" category. The top three nominees, based on voting, will go on to the final round, with the winner selected in November 2014. To read more about the program, click here. To cast your vote, click here. 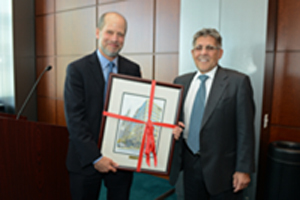 Chicago-Kent renamed its 10th floor event space to the Arthur and Stephanie Morris Hall in a dedication ceremony on Wednesday, August 27 recognizing Art and Stephanie's generosity to the law school. Art is a member of the Class of 1971 and recently retired as senior partner of Morris Hardwick Schneider, PC, the largest real estate closing firm in the country. Thank you to Art and Stephanie for their generous support of Chicago-Kent! Jared Reynolds, currently in his third year at Chicago-Kent, won first place at this year's CVLS Race Judicata. Reynolds finished with an impressive time of 16 minutes, 15 seconds. Congratulations Jared! The IIT Global Alumni Gathering will take place September 19-21 on IIT's main campus in Chicago. On Friday, Dean Hal Krent will moderate an intellectual property panel featuring John Abramic '01 and Jeremy Noe '00 to kick off this celebration of IIT’s imprint on innovation. The weekend-long event is chaired by Raj Rajaram '91 and will include panel discussions, campus tours, a dinner cruise on Lake Michigan, and a luncheon and keynote address with Alan W. "Bud" Wendorf, retired CEO of Sargent & Lundy and chairman of IIT's Board of Trustees. For more information, click here. A delegation of high-level dignitaries from the Irish bench and bar will visit Chicago-Kent from September 22-26. The visit, which is conducted in conjunction with the International Advocacy in Ireland Program, will feature Justice Frank Clarke of the Supreme Court of Ireland, Chairman of the Bar Council of Ireland David Barniville, Former Chairman of the Bar Council of Ireland David Nolan, Former Chairman of the Bar Council of Ireland Hugh Mohan and Former Chairman of the Bar Council of Ireland Michael Collins. The delegation will visit a number of courts during their stay as well as take part in a discussion on comparative ethics. The Solo & Small Practice Incubator (SSPI) is a one-year program starting November 2014 designed to offer a select group of entrepreneurial-minded recent IIT Chicago-Kent graduates with valuable experience and ongoing training to help build their professional careers as solo or small firm legal practitioners. The program is intended to accelerate the successful development of newly admitted lawyers in an "incubator" environment. Participation is limited to recent graduates of Chicago-Kent, with preference given to members of the Class of 2014. To download an application, click here. The SSPI also needs alumni to serve as mentors to SSPI participants. For more information, email Dawn Young at dyoung@kentlaw.iit.edu. The Chicago-Kent chapter of the Society of Women in Law is seeking alumnae to serve as mentors for the 2014-2015 school year. The mentorship program was created to facilitate connections between female students and alumnae, as well as to provide opportunities for alumnae involvement in the professional development of future lawyers and business leaders. The role of a mentor is to help guide another’s development and offer support and guidance from personal experiences. To sign up to serve as a mentor, click here. Timothy and Stacey Cavanagh are partners at the Cavanagh Law Group, one of the preeminent firms in Illinois for personal injury, medical malpractice and wrongful death. 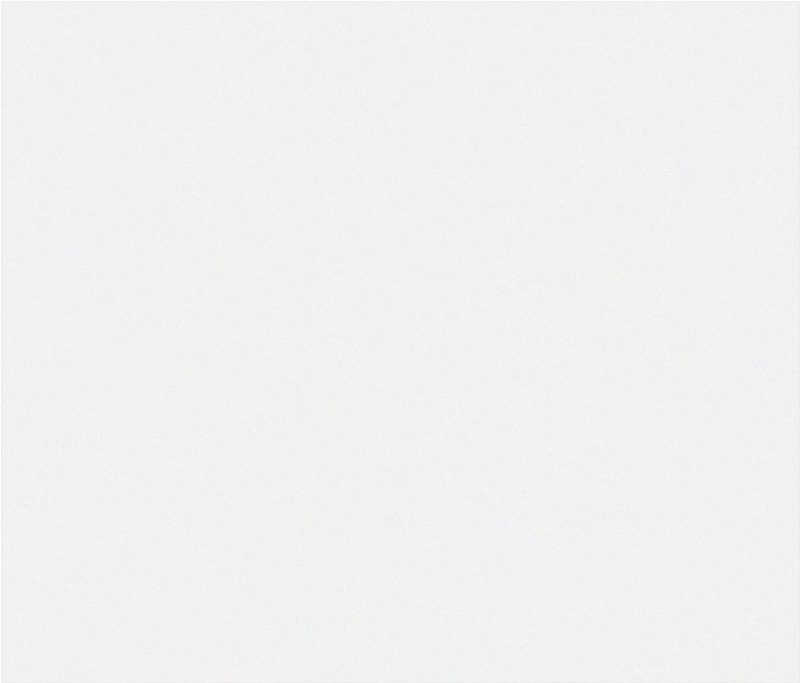 The firm was selected to The Best Lawyers in America for 2015. 2014 has been a year of tremendous success for both Tim and Stacey. This spring they successfully tried a wrongful death case in Cook County that resulted in a $6.65 million verdict for the family of a United Airlines employee killed while working at a military base in Kuwait. In February, Tim settled a wrongful death case for $2 Million in Nebraska, and in July, he secured a $9.75 million settlement for a female cyclist who was injured when a truck collided with her. In addition to their success in the courtroom, Tim was named to the Chicago Daily Law Bulletin’s 40 under 40 Hall of Fame in 2014 while Stacey was named one of Today’s Chicago Woman magazine’s 100 Women of Inspiration. The Cavanaghs are active supporters of Chicago-Kent, and members of the Senior Partner Council. Congratulations Tim and Stacey! October 5, 2014 | 9:00 a.m.
Tuesday, September 30, 2014 | 5:00 - 7:00 p.m.
Monday, September 15, 2014 | 4:00 - 5:00 p.m.
Thursday, September 18, 2014 |9:00 a.m. - 4:30 p.m. Eligible for 5.5 hrs of IL CLE credit including 1.25 hrs of professionalism/ethics credit. "Tweet Me: Using Social Media to Mobilize People and Customers"
Wednesday, September 24, 2014 | 1:30 - 2:30 p.m.
Thursday, October 2, 2014 | 12:00 - 1:00 p.m.
Friday, October 3, 2014 | 8:30 a.m. - 4:00 p.m.
*This conference is free to Chicago-Kent students, faculty and alumni. "Regulating the End of Life"
The end of summer brought many new beginnings and one happy reunion to Chicago-Kent. 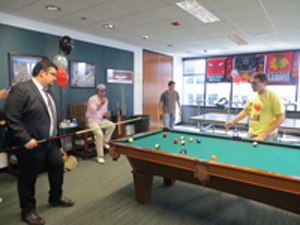 Current and former Law Review members took advantage of the beautiful weather and newly renovated terraces at the Law Review networking reception, and the new 5th floor Game Room opened to rave reviews by the student body. The 10th floor event room was also dedicated as the Arthur and Stephanie Morris Hall in a ceremony which took place late last month. 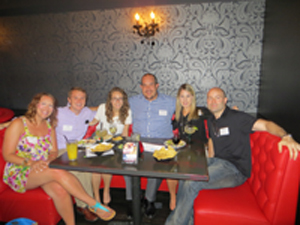 And finally, graduates of the last decade gathered together to celebrate at the Young Alumni Summer Social at Ay Chiwowa!, the River North hot spot owned by Chicago-Kent alumnus Billy Dec '99. With classes back in session and fall just around the corner, we look forward to seeing you on campus this autumn!